The word Ubomi means life. The poet uses simple water metaphors to describe the experience of life. “Waves are singing, singing for the seed in the vast sea,” he says. Mhle umsebenzi owenzayo Tata, anga uThixo namanyange akusikelele de umsebenzi wakho ufundwe zizizukulwane zakwaPhalo, najikelele kwintlanga zonke zelimiweyo. 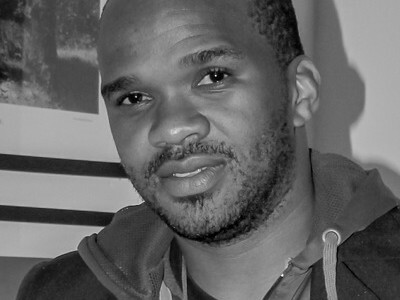 Mangaliso Buzani was born in New Brighton in 1978. He is a versatile artist who excels in the creative world of art as a whole, be it painting, installation, jeweller design and manufacturing and writing. He has just finished his Masters of Art in Creative Writing with a distinction at Rhodes University. Buzani is an award winner of Dalro Prize (2014) and a finalist of Plat Africa (2007), and Anglo Gold Riches of Africa (2004). He teaches Martial art (Judo), art, creative writing in local schools when ever time presents itself. Buzani has exhibited his work across the country. He was first encouraged to experiment with poetry writing when he joined Uncwadi Writers Association in the late 90s and he has not turned back since then.